The cast of THE TEMPEST. Photo by TOMMY THOMPSON. 2006. 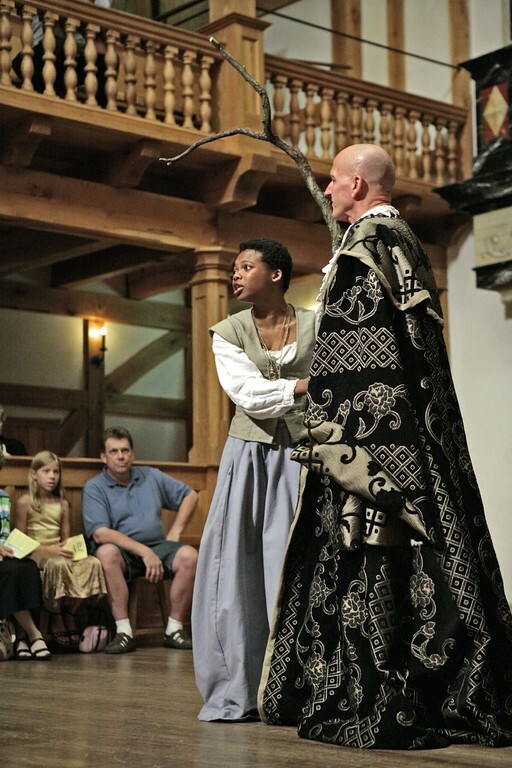 Susan Heyward and David Loar in THE TEMPEST. Photo by TOMMY THOMPSON. 2006. 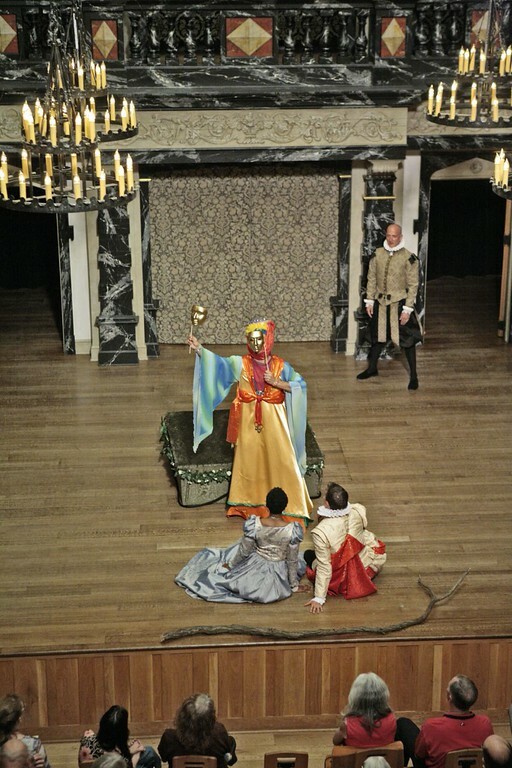 John Harrell and Susan Heyward in THE TEMPEST. Photo by TOMMY THOMPSON. 2006. Sarah Fallon in THE TEMPEST. Photo by TOMMY THOMPSON. 2006. Álvaro Mendoza and the cast of THE TEMPEST. Photo by TOMMY THOMPSON. 2006. 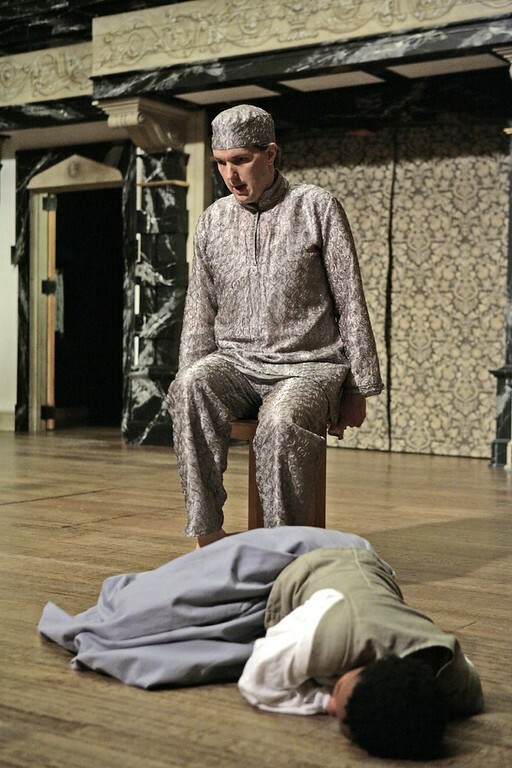 Paul Fidalgo and Matthew Sincell in THE TEMPEST. Photo by TOMMY THOMPSON. 2006. 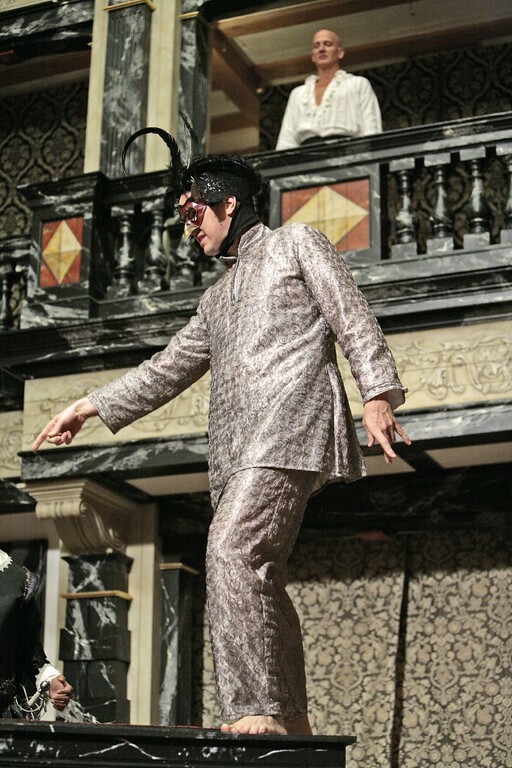 John Harrell in THE TEMPEST. Photo by TOMMY THOMPSON. 2006. Twelve years ago, Prospero, the Duke of Milan, was pushed from his throne by his brother, Antonio, with the help of Alonso, King of Naples, and the King’s brother, Sebastian. Cast adrift with his daughter, Miranda, Prospero landed on an island, where, by the use of his magic, he has ruled over the native Caliban and the spirit Ariel. Hearing that his enemies are at sea, Prospero has told Ariel to raise a storm that will shipwreck them upon the isle and allow him to work his revenge. On the island, the shipwrecked travelers are separated: Alonso, the King, searches for his son Ferdinand, feared drowned; Sebastian plots to kill his brother and usurp the crown of Naples. The drunken butler, Stephano, and the jester, Trinculo, are persuaded by Caliban to kill Prospero. Ferdinand meets Miranda and they fall in love. 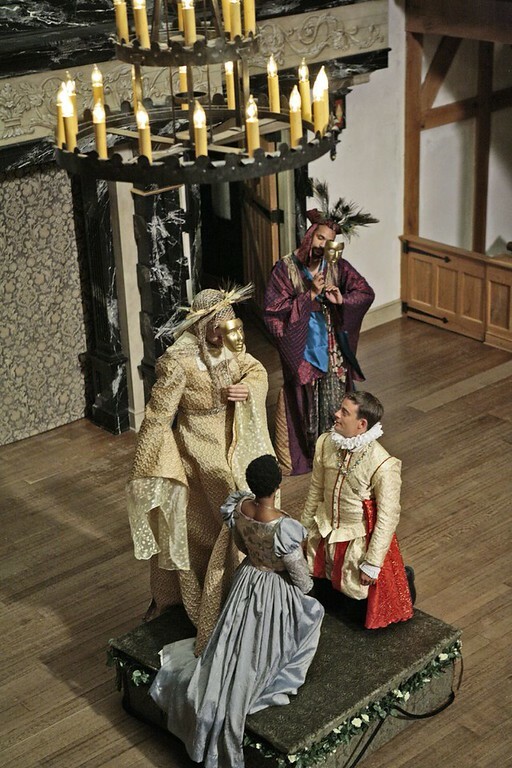 Prospero sets heavy tasks to test Ferdinand and then presents the young couple with a betrothal masque celebrating chastity and the blessings of marriage. 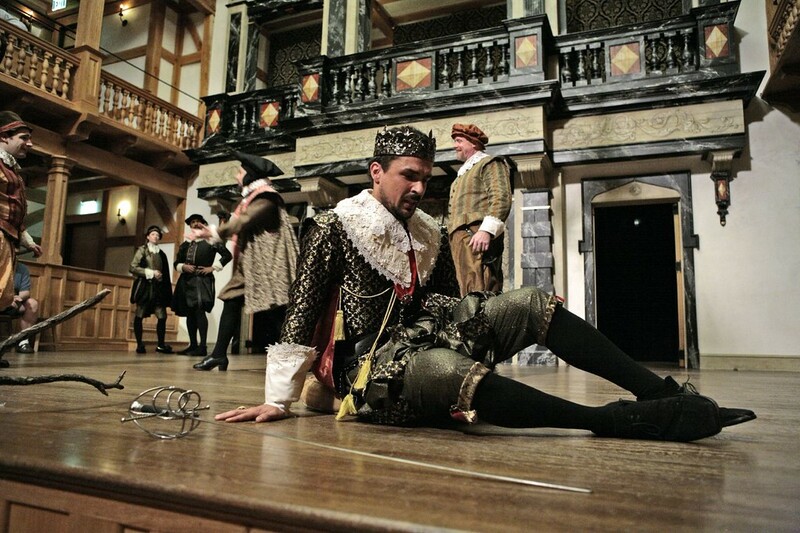 Last season at the Globe I wrote in the program about that “scene in which Troilus and Cressida fall in love.” By the time our rehearsals were over I had decided that they never were in love, simply infatuated. So program notes are hard – you never know what you are going to discover once rehearsals begin. 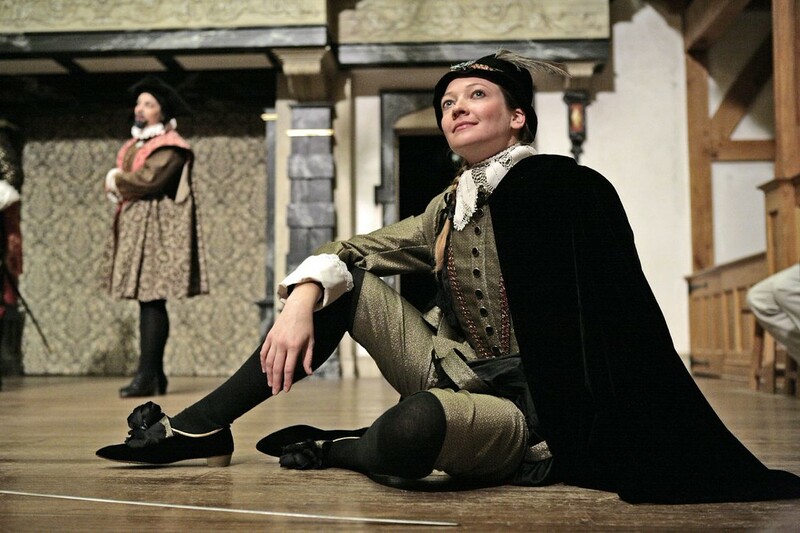 I’m fairly sure of this though: the longer I work on Shakespeare’s plays the more I feel that clarity for the audience is achieved when the thoughts of each of the characters are fully realized. Shakespeare’s words are incomparable, but there, before the words, are these thoughts that give rise to the words. If we can bring theses “thoughts” to life, you will follow everything. I hope that when the play is over, you might even say “Well that was so clear; but you’ve modernized the text haven’t you?” when we will have done no such thing! 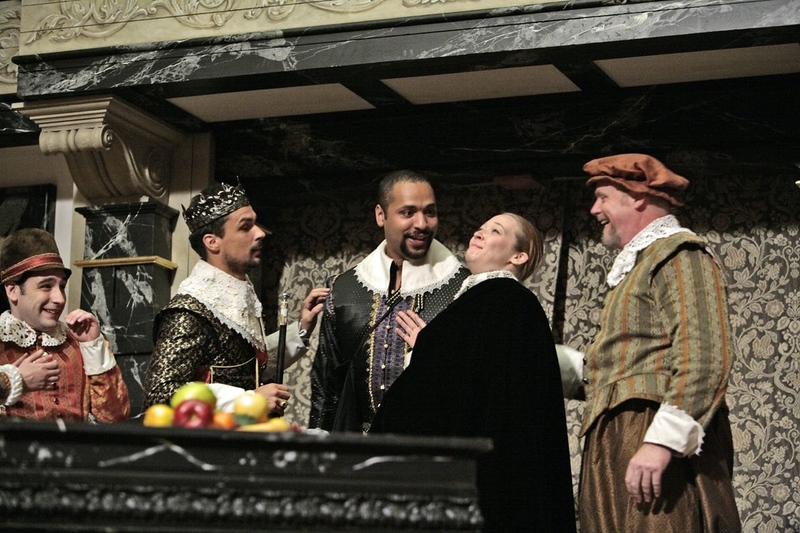 “Clarity” doesn’t mean explaining everything and erasing the play’s ambiguities. 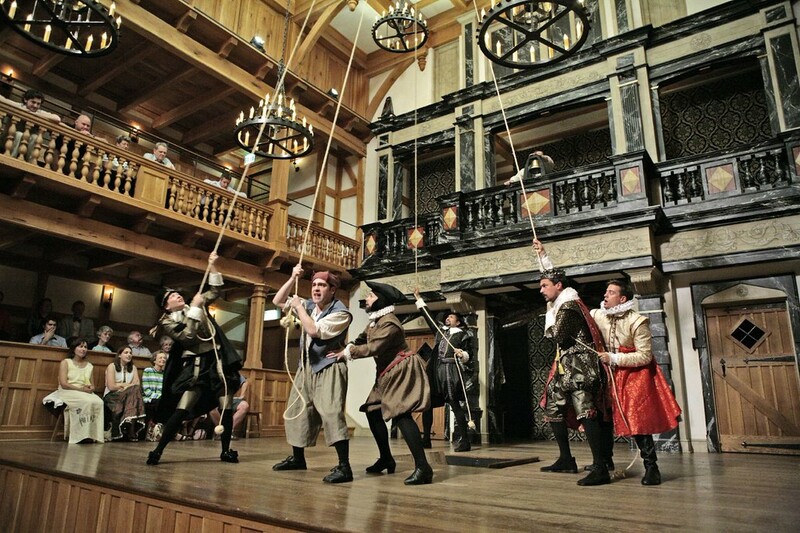 Shakespeare is drawn to paradoxes and problems: jealousy, ambition, desire, unfaithfulness; weakness rather than strength; selfishness rather than putting others first. His characters are all multi-faceted and ambiguous in many ways. So can you say that Prospero’s a “good” man? He, like so many, is caught between opposing forces: a desire for revenge and the promptings of mercy. The magic powers he has cultivated and for which he is celebrated, have also been the cause of his downfall and expulsion from Milan. Is he really different from Sycora, who was marooned on what later becomes Prospero’s island, pregnant with Caliban; marooned, because she also was a magician, and for which the people of Algiers expelled her? The Tempest is the last play that Shakespeare wrote, apart from a couple of collaborations with John Fletcher. In common with the other late plays certain themes emerge: fathers and daughters; looking towards the next generation; and maybe, above all, a sense of forgiveness and reconciliation. For me, The Tempest is filled by a sense of the new, which touches almost every scene. says Miranda, when she first sees Alonso and all his court; she, who until that moment, had only ever seen three other people and one of these, Ferdinand, she only met three hours before. is the comic version of Miranda’s, as he mistakenly takes the drunken Stephano for a god who has dropped down from heaven. The Tempest is also filled with music: Ariel’s music. Ariel is Prospero’s spirit-helper but unlike Shakespeare’s rather earth-bound fairies in A Midsummer Night’s Dream, Ariel is all spirit. Yet, it is the spirit who, it seems to me, teaches the mortals how to behave with real humanity, each to other. Now, will I still believe this in six weeks’ time?